Glorious music from this Statement Line Stage. Within the first minute of listening to the Coincident Statement I realized that this is a very special preamplifier and that I would have to own the review sample. It took the remaining two months to figure out how to make that happen. My rig has recently experienced large improvements in transparency and resolution with the addition of the open baffle Tekton OB4.5 monitors and S12 subwoofers, both patent pending new technology, as well as the insertion of the PS Audio Power Port Premier at the outlet of my dedicated power line. But these merely set the stage for Israel Blume's all out assault on the state of the art to create the most transparent and purest line stage available today. Moreover, he climbed the mountain from both sides, not only with the line stage reviewed here, but with the phono preamplifier, using different tubes, as well. These were both "cost no object" designs aimed at the loftiest goal. That said, you're probably thinking "Oh, no. Not another $79,000 product review?" Not hardly. 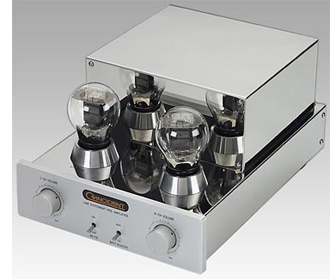 The Statement Line Stage goes for $5000, the Phono preamplifier for $5500. Both products fall in the heartland of High End audio and represent extraordinary value for products designed essentially without compromise. I speak here from my experience with the Line Stage, but I have little reason to doubt the Phono preamplifier is much, if any, less spectacular. When I first heard the Statement Line Stage I knew it was a very special piece. But it took some playing and tweaking to learn how good it really is. You can't build a world class system with a plug ‘n play mentality. As a replacement for a full function preamp it will force you to re-think your front end, yet it also offers flexibility for bi-amplifying as well as a balanced source and balanced amplifier. The seldom seen (but not outrageously priced) 101D tube is the crown jewel of this design and it will give you a high degree of exclusivity in audiophile circles. Sonically, the Statement is a thoroughbred with Triple Crown potential, a serious assault on the State of the Art at a price that should recalibrate "value" in the high-end. It may very well be the finest piece ever to have come from the mind of Israel Blume. I expect it will remain my reference for many years to come.